Editor's note: An earlier version of this story incorrectly stated the email was dated Sept. 4, 2016, instead of Sept. 14, 2016. The information was erroneously confirmed by a source, who subsequently sent the actual email to CBS News confirming the Sept. 14 date. The report has been updated to reflect the correct date, and the email is included in this update. CBS News has confirmed that Donald Trump Jr. received an email in September 2016 offering access to hacked Democratic Party data. The emailed offer, which has been obtained by CBS News, was dated Sept. 14 and was for a decryption key and website address providing access through WikiLeaks for hacked the documents. At that point, however, the offered data was already available publicly online. Congressional investigators are looking into the email exchange. The new email was first reported by CNN, which erroneously said the email was sent on Sept. 4. A source who received the email in question tells CBS News there were about 20 people cc'd on the email. Their names have been redacted in the above email. The sender thought he had obtained then-candidate Trump's email. But the source says DJT@Trumporg.com was not a valid email for Mr. Trump. Former Secretary of State Colin Powell's stolen emails, also noted in the email, were also published on Sept. 13. In a statement Alan Futerfas, Trump Jr.'s attorney said, "This is just the campaign receiving thousands of unsolicited emails on every possible topic." Futerfas added that the unsolicited email came from "a guy simply alerting the campaign to the fact that there was a new WikiLeaks release." The attorney insists that Trump Jr. never communicated with the person who sent the email, Michael Erickson, and Trump Jr. has no idea who he is and never responded to the email. In a subsequent statement, Futerfas said that the only reason the House Intelligence Committee has this email is "because we took our responsibilities seriously and conducted searches for the broad categories of documents they requested. We turned over those documents even if they constituted junk or were from individuals unknown to Mr. Trump Jr. or the Campaign. As a result, the Committees received documents from us that were junk mail or otherwise meaningless." 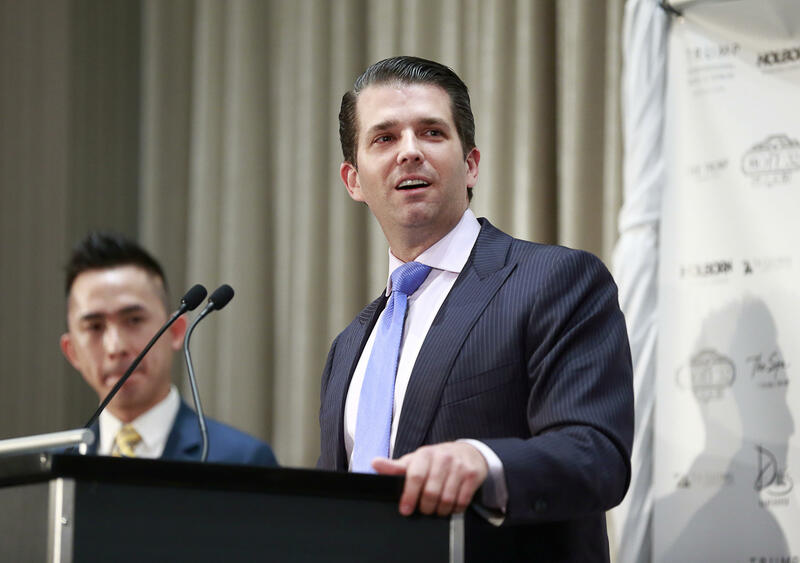 He pointed out that the information in the email had already been publicly disclosed and said that the committee knows this and knows that Trump Jr. did not respond to Erickson because it was "all discussed during the interview." Futerfas went on to accuse committee members of planting stories about Trump Jr's interview while the interview was in progress. He said that because of the press statements made by some members that "clearly" violated "agreed-upon confidentiality," Trump Jr. had received a letter releasing him from the confidentiality of the proceedings. And Futerfas said the statements and leak of "a meaningless email" undermine the credibility" of the committee's investigation. Trump Jr. began direct-messaging on Twitter with WikiLeaks on Sept. 20, the same month that he received the email about the hacked Democratic documents. The communications largely consisted of WikiLeaks offering information and advice to Trump Jr., and asking for things ranging from Donald Trump's tax returns to a recommendation for an ambassadorship for WikiLeaks founder Julian Assange. The email sent to Trump Jr. arrived two months after the hacked Democratic National Committee emails were published, but before WikiLeaks began publishing Hillary Clinton campaign chairman John Podesta's emails on October 7, less than an hour after the "Access Hollywood" tape with Donald Trump's lewd comments about women surfaced.